This product is expected to ship on Tuesday, April 23 if you place your order within the next 19 hours and 40 minutes. 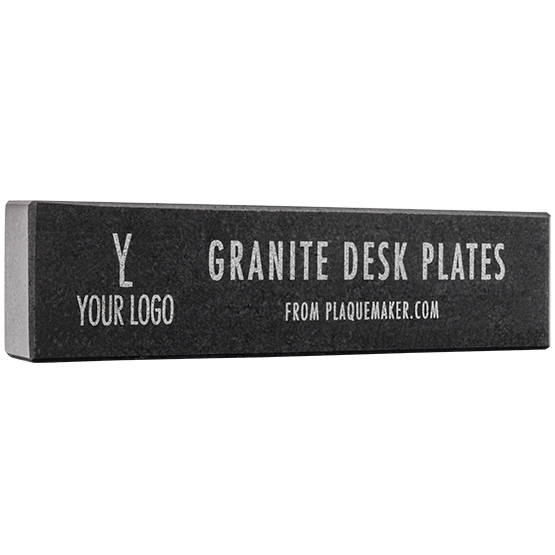 Create personalized engraved granite desk name plates at PlaqueMaker. 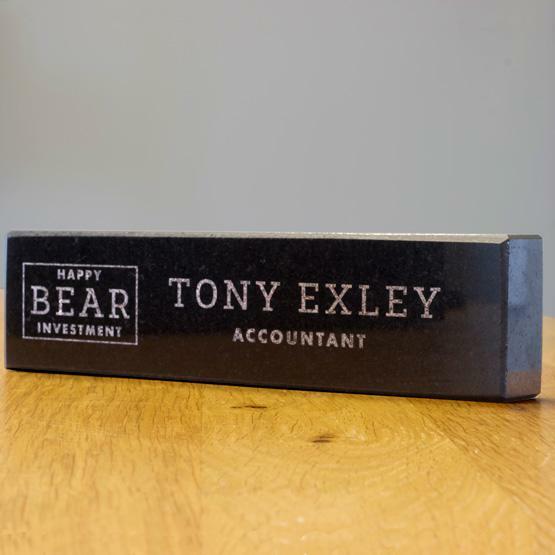 These beautiful granite desk name plates will look great on your desk. Personalize with your name, title, or other text. Makes a fantastic gift for graduates or to congratulate loved ones on their new positions. Personalization Area: 7 1/4 x 1 1/4"
Very happy with end product and excellent customer service regarding questions I had. 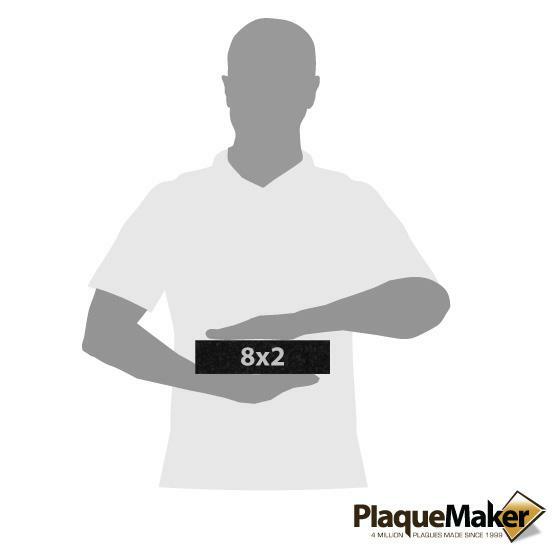 Ordered my granite desk plate with a complicated company logo. <br>It came in the mail yesterday and looks awesome! Top notch quality! Memorial Stone to join our children together.....best purchase ever! Thank you! Came in a timely manner, accurate and looked professional, very outstanding job! My wife recently started a dog grooming business. For her birthday I purchased a desktop plaque. She was so happy I received a huge smile a great bear hug. You're plaque was exactly as ordered, and delivered when you promised. Thank you for your professionalism.